Carl Rashid, Jr. is a member of Dykema’s Real Estate Practice Group in the Firm’s Detroit office. Mr. Rashid leads the Firm’s Property Tax Appeals practice. Mr. Rashid focuses his practice on property tax appeals, with vast experience in eminent domain, economic development and tax incentives, and general real estate. He also has experience in state and local taxes, condemnation law and government affairs matters. Mr. Rashid has been in private practice representing taxpayers in property matters for over 36 years. Previously, he served as an Assistant Corporation Counsel of the City of Detroit, representing the Finance Department, the Detroit Board of Assessors and the City Treasurer. 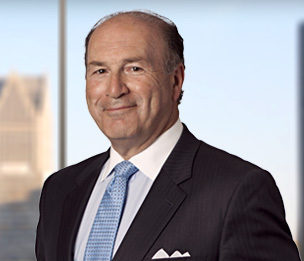 He is a member of the State Bar of Michigan, the Metropolitan Detroit Bar Association’s Committees on Real Property and Taxation, and the American Bar Association. A frequent author and speaker on various topics relating to property tax, Mr. Rashid has authored property tax legislation in the state of Michigan, including the Commercial Redevelopment District Act (PA 255 of 1978), and PA 317 of 2000, involving personal property taxes. He is co-author of Michigan Tax Practice and Procedure, co-editor of Michigan Real Estate Law, and has served as co-chair and lecturer for the Institute of Continuing Legal Education (ICLE) seminars and as a lecturer for the Michigan Municipal League.